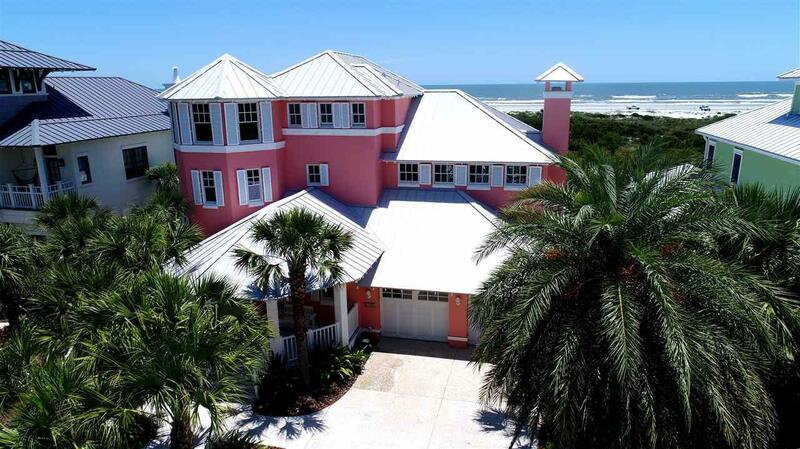 Direct oceanfront luxury home located in the exclusive Sea Colony in St Augustine Beach. This custom built home is like a fortress with all three floors concrete and steel reinforcement construction. The first level offers three spacious bedrooms and two bathrooms, including a den area overlooking a fully covered outdoor porch with a beautiful newly installed heated pool & spa. Surround the fire pit for an evening of good conversation. Inside the floating staircase is constructed with steel and oak veneers or if you prefer to take the elevator to the second floor with a gourmet chef's kitchen with cherry cabinets, blue pearl granite counter tops and a copper ceiling. Brazilian rosewood flooring. Breakfast bar and formal dining room. Add ambiance with the gas fireplace in the open living room. 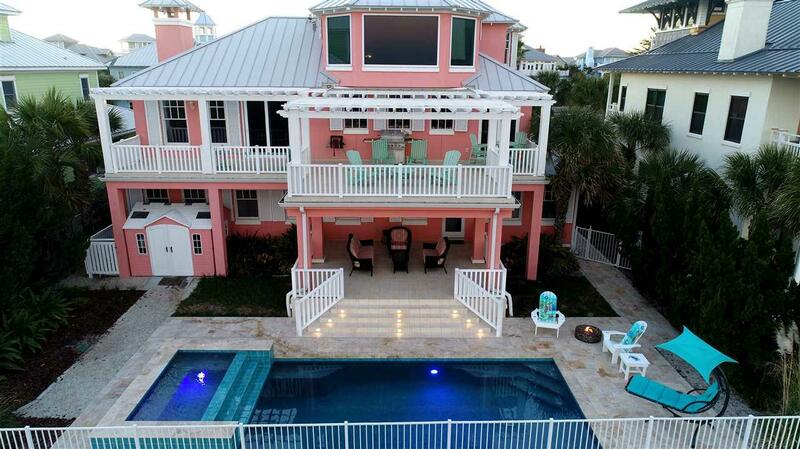 Step outside the living area to a second floor porch with limitless ocean views. 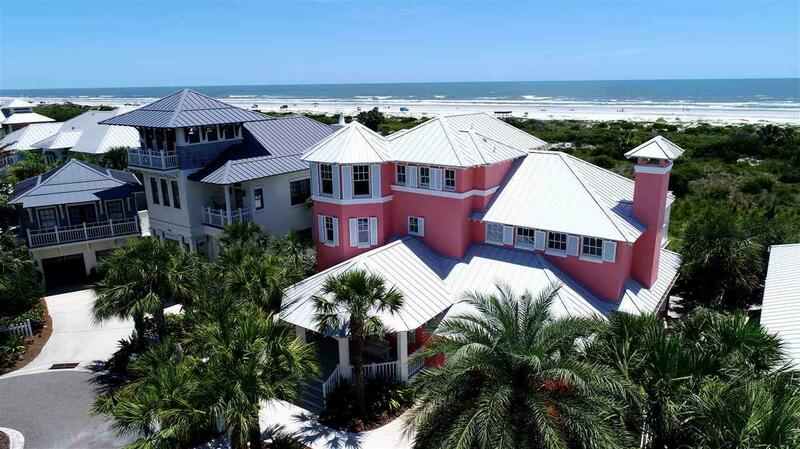 Third floor offers a 17 X 19 master suite surrounded by ocean views with five layers of protective glass. All floors have their own HVAC system with Humistat. Built in Generac 40 KW generator. Fully shuttered house. Two new Reni tank less water heaters. Epoxy roof, commercial grade Vulcan 100 waterproofing. The entire home has BASF silicone coating. Drip system irrigation. This home is built to last! 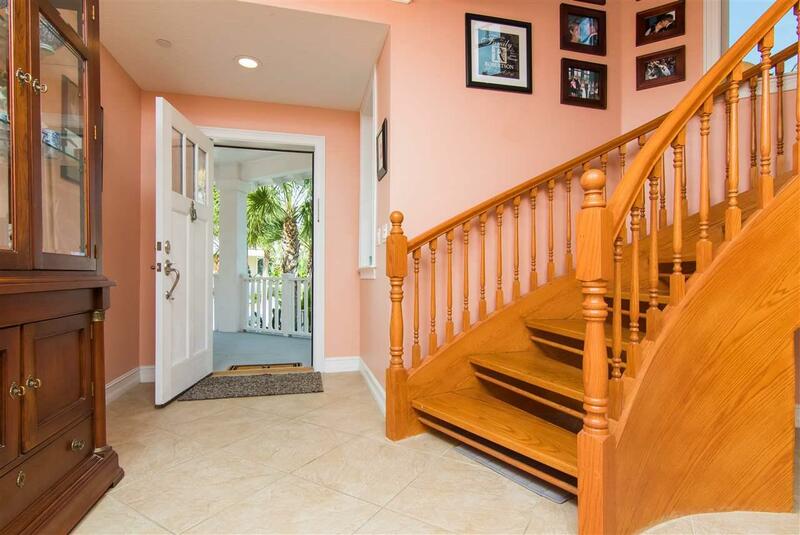 Community offers private beach walk overs, community pool, 24 hour manned guarded gate. Close to shopping, restaurants, farmers markets, medical facilities, Amphitheatre and historic downtown.